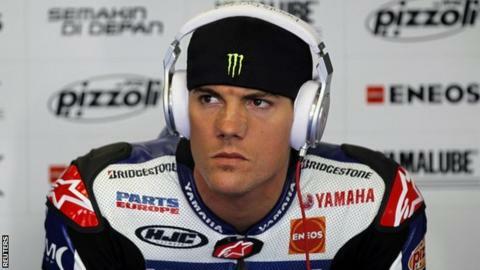 Ben Spies has signed a contract to ride for the Pramac Ducati team in next year's MotoGP championship. Former world superbike champion Spies, 28, was expected to leave MotoGP after confirming his exit from the factory Yamaha team last month. The American will be joined at Pramac by Andrea Iannone, who is currently fourth in the Moto2 standings. Spies will be replaced as Jorge Lorenzo's team-mate at Yamaha next year by Valentino Rossi. Spies won at Assen last year in his first season in the full Yamaha team but has had a torrid year in 2012, lying 10th in the standings with a best finish of fourth. as the riders for the full factory Ducati team in 2013.